25" Tall Christmas Holiday Snow girl. Makes a beautiful wintertime doll. Her body is muslin that is stained. Her dress and hat are made of stained Warm and Natural that is trimmed with flannel. 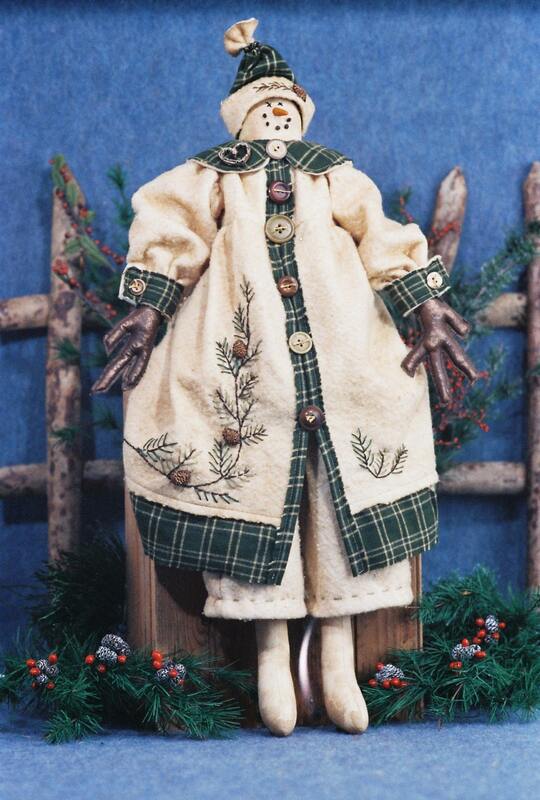 The dress and hat are embroidered with pine branches and adorned with pine cone buttons. Also buttons are down the front of dress and sleeves and a small grapevine heart is attached to collar. Easy to make. PDF download comes complete with easy to follow instructions, doll pattern, clothing pattern and suggested materials list.